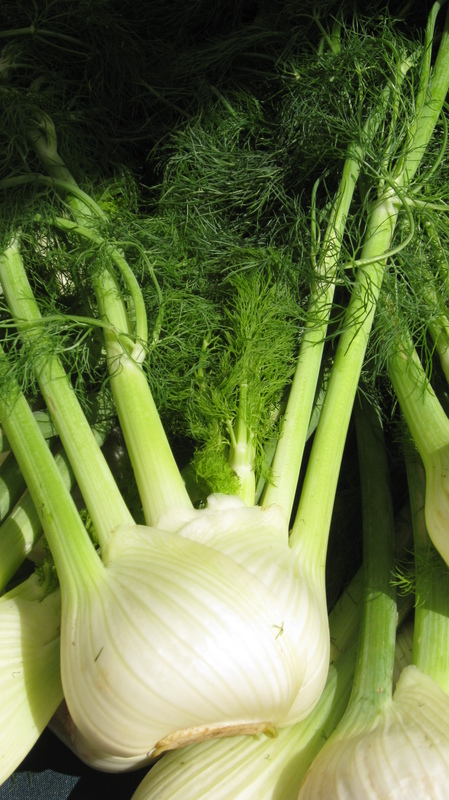 Fennel has been used in Europe and especially in the Mediterranean for a very long time. It is far more widespread now, but many people still don’t consume this powerful vegetable because they either don’t know how to prepare it or just aren’t aware of it. We used to grow it in our garden when I grew up and I remember experimenting with it. My mom used to dry the seeds and use it as part of baking and other delicious dishes. If you can’t make it to the Farmer’s Market, see if you can buy organic. Fennel belongs to the Umbelliferae family and is thus closely related to parsley, carrots, dill and coriander; all which we love to use in our kitchen. Fennel is an excellent source of vitamin C. It is also a very good source of dietary fiber, potassium, manganese, folate, and molybdenum. In addition, fennel is rich in niacin, as well as the vital minerals of phosphorus, calcium, magnesium, iron, and copper. The vitamin C found in fennel bulb is directly antimicrobial and is also needed for the proper function of the immune system. Wow, what’s not to love? The best part is that you can eat the entire vegetable root and leaves. We usually use the leaves for seasoning. A good tip is to wash and chop the leaves, dry them and store them in an airtight container in your freezer, like the dill leaves. This way you always have them on hand when whipping up your dinner. When choosing your fennel, make sure that the bulb is firm/solid and clean. Stay away from ones that have spotting or are beginning to split. The fresh fennel should have a nice subtle aroma of licorice or anise. It’s quite pretty and less potent tasting than it’s seeds. Fennel can be sautéed, grilled, added to soups and stews, or consumed raw. Here is one of our favorite Salad recipes – Please enjoy it! Chop the leaves off and freeze/use for later in another dish. Cut fennel into fine strips. Peel apples, de-core and cut them into equally fine strips and combine with fennel and lemon juice. In a separate bowl, mix yogurt, mustard, oil, sea salt, honey, and pepper until all ingredients are nice and smooth. Pour over fennel and apples, serve and enjoy! This is an amazingly refreshing dish.